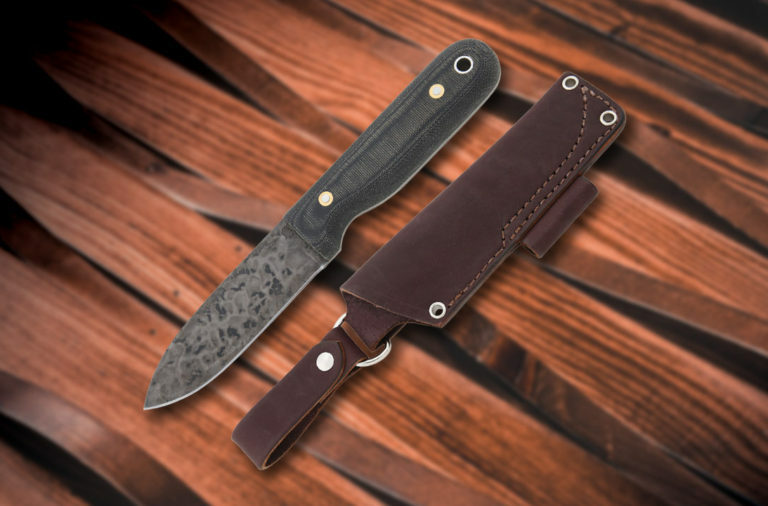 Yes, there are products in the knife world that make little to no sense, but that doesn’t mean we love them any less. Take the Pistol Sword Cane for example. It’s patently ridiculous, but we absolutely love it. 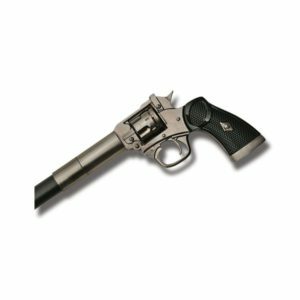 From the rubber foot to the imitation revolver’s grip, we love this thing, and we couldn’t wait to show it to you. First, it’s a 37″ working cane with a fairly standard rubber foot. The handle of the cane is a die-cast metal replica of a revolver. Look at the photos. It literally looks (and frankly feels) like you mounted a standard size revolver to the end of a cane. And, if that wasn’t enough, you can unscrew the replica revolver from the cane to reveal an 11″ stainless steel sword. And here’s the best part. It’s only $19.99. That’s right. 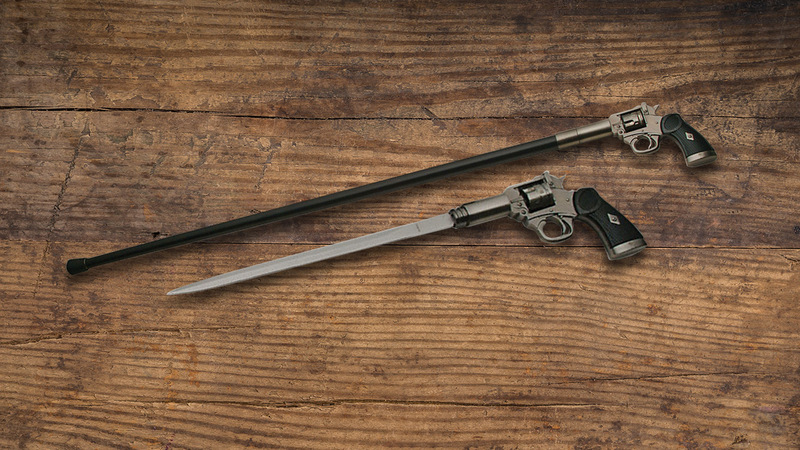 For $19.99, you can own a working cane that looks like a gun but is really a hidden sword. Oh what a time to be alive. You know you want it. How could you not? 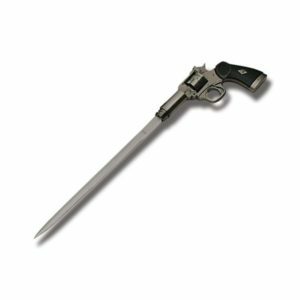 You can get the Pistol Cane Sword by clicking any of the links in this article or the button below. What a fun Christmas gift this would make.